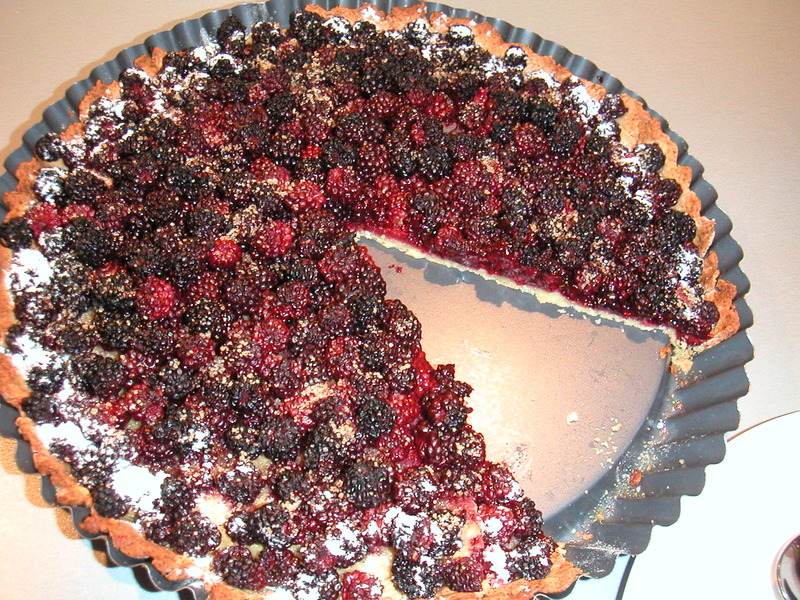 I’ve got a thing for yeast baking at the moment … and blackberries. This time of year, blackberries are a serious distraction! Just can’t resist picking a small bag full of berries every time I go to the park with the hounds. I have even been known to make a special trip and come home with 1kg or more. When I look at my bramble-scratched arms I feel a glow of pride and it does surprise me that not more people descend on this free, nutritious food.Over the years I have become a more discerning picker though, and as the blackberry season gets into full swing I head for the older bushes with larger, sweeter berries and go for the easy to reach branches. Full of vitamin C and anti-oxidants, seasonal and delicious, blackberries are plentiful and accessible: they are an urbanite’s easy link with the foraging world and the seasons.What’s not to like? I am quite aware that the hedgerow variety is a different species to the blackberries sold in small plastic punnets in the supermarkets, but this does not bother me. The “wild” ones may be slightly smaller and less sweet than their supermarket cousins, but this does not matter that much especially when you cook them. Now on to the interesting bit, hedgerow baking. The concept of the “vlaai” , or flan, is about 400 years old and originates in German convents, just across the border from Limburg which is Holland’s southernmost province. The early flans were Easter offerings made with dried fruit from the convent’s garden. The sweet flans were a welcome end to the period of fasting which precedes Easter. The tradition was then extended to other celebrations, including weddings and carnival and these days “vlaai” is still a very popular treat, particularly, in the Southern provinces where it is considered not much more than “slice of bread with jam”. 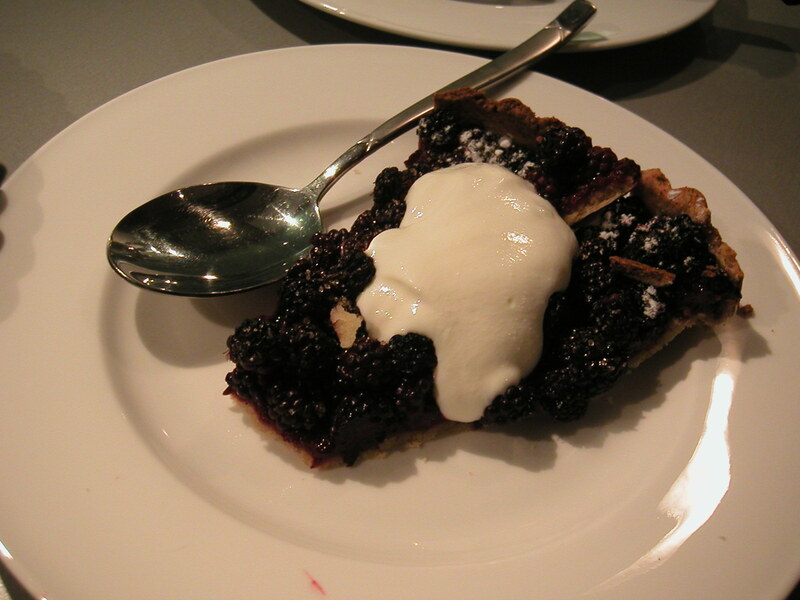 So go on, spend a pleasant 2o minutes or so picking blackberries this week and then indulge in a bit of easy yeast baking. don’t overheat the milk or it will affect the dough-rising qualities of the yeast! Savvy tip: add a small oven proof dish with water to the oven – this prevents the dough crust from drying out. Wishing you an hour of relaxing blackberrying (of a different kind) + baking! This entry was posted in baking with yeast, food for friends, gourmet gems, home baking, how to be a savvy shopper & a clever cook, lessons about food, LookLocal, Recipes, Uncategorized, yeast baking and tagged blackberries, Delicious cakes, flan, food for friends, hedgerow, home baking, Limburgse vlaai, Tasty treats, vlaai. Bookmark the permalink.